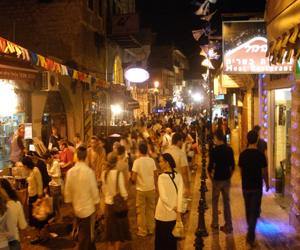 If you are hoping to learn more about the music scene in the city of Safed then look no farther. Here you will find information about the many musicians and musical acts in and around Safed and also get the inside information on the best venues for hearing Safed's music performed. Check out our articles on some of the most well-known and popular muscians in Safed like Banjo Billy, Chava Rachel Saban, Baruch Emanuel Erdstein and his band InGathering, Anat Edry, Diana Marcovitz, Eran Madom, Dor Deah, and Chaim Dovid. Also find out more about where you can hear your favorite Safed musicans play by checking out our articles on Safed's music venues, classical music in Safed, Safed's School of Music, and Safed's music youth scene.